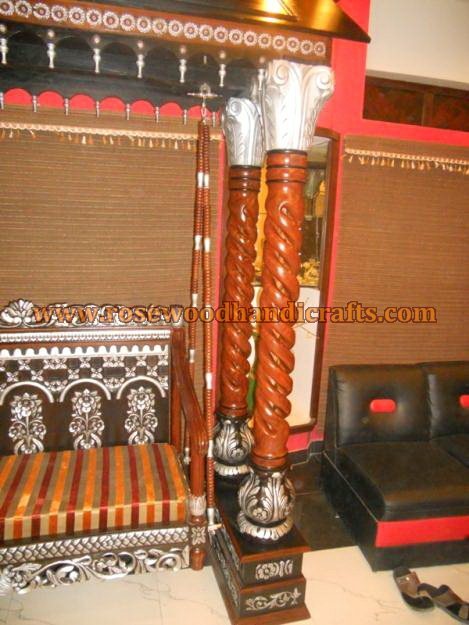 Your home decor reflects your unique personality and is an expression of your style and creative expression. 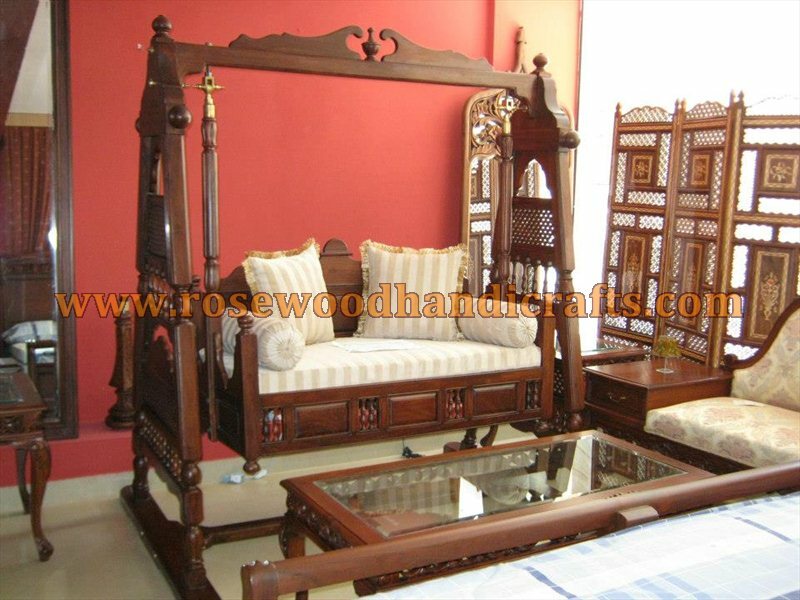 You invest your valuable money, effort and creative energy into designing your dream house. 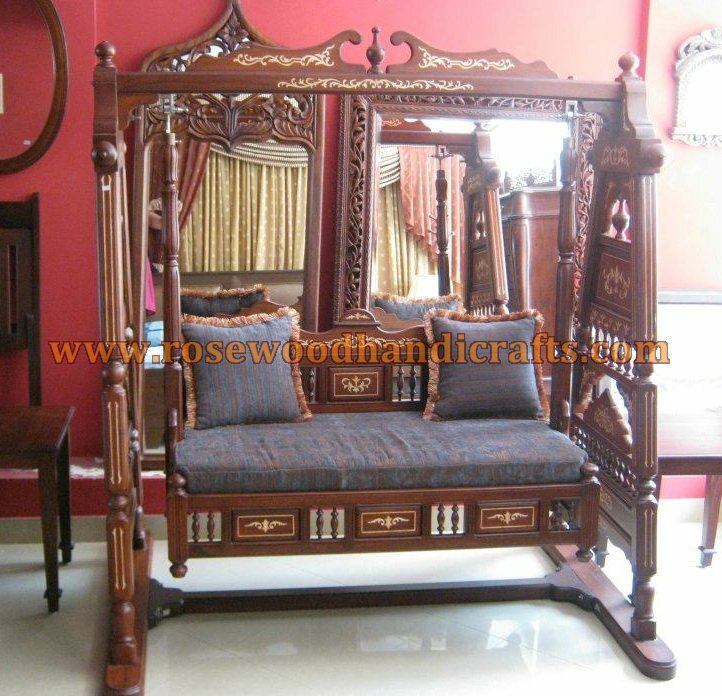 Every curio and piece of furniture is carefully handpicked and enhances the ambience and adds value to your home or workspace. 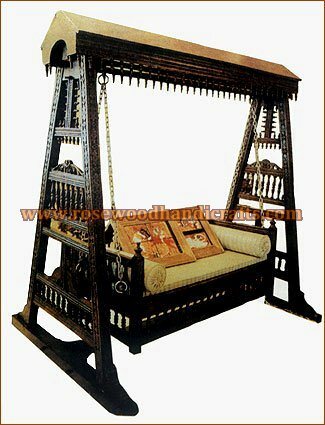 A beautiful swing is a joy to behold. 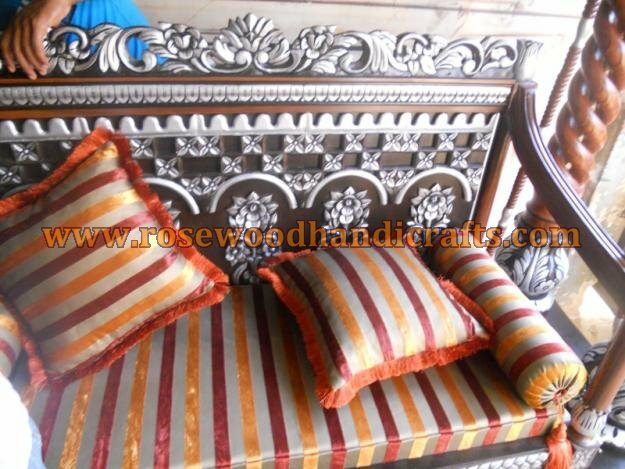 It denotes style and panache. 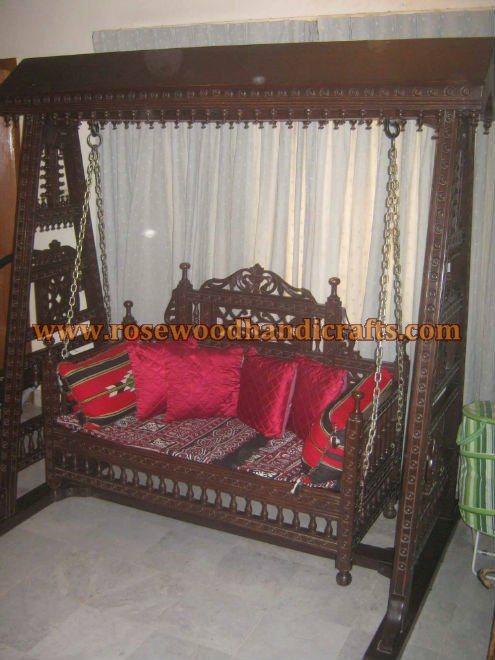 A swing conjures up different visions to different people. 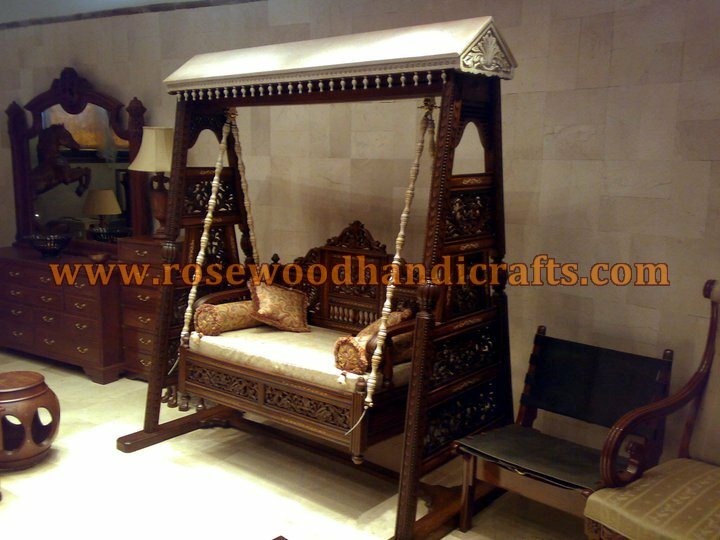 To some, it harks back to their childhood when one was young and carefree, without a care in the world. 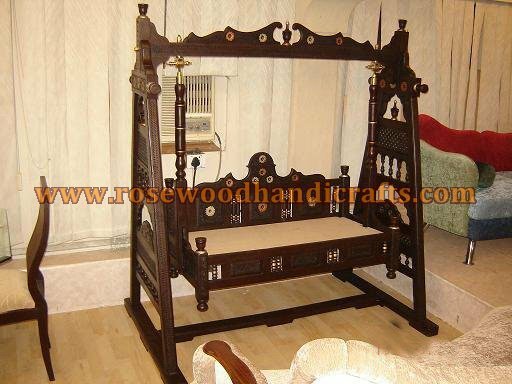 To a young lover, it conjures up a romantic mood. 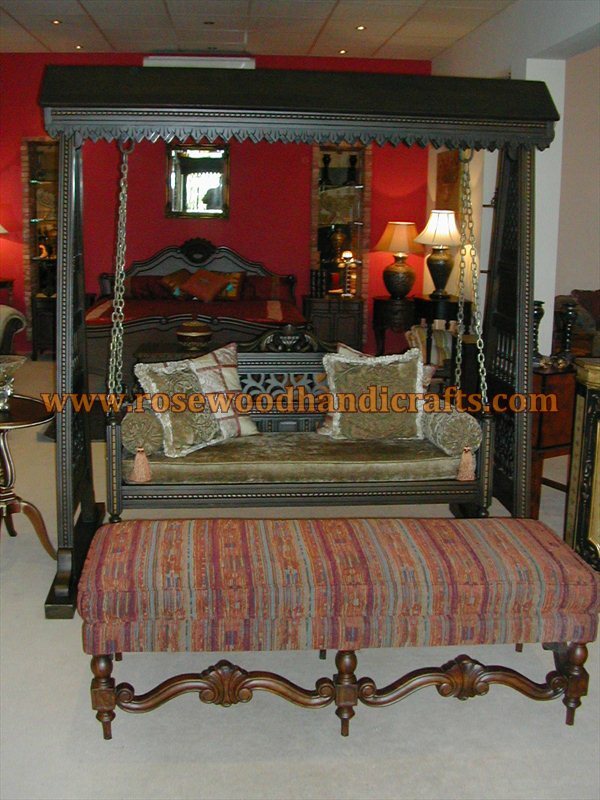 Whatever the mood, a swing is a beautiful piece of furniture that one can hardly resist! 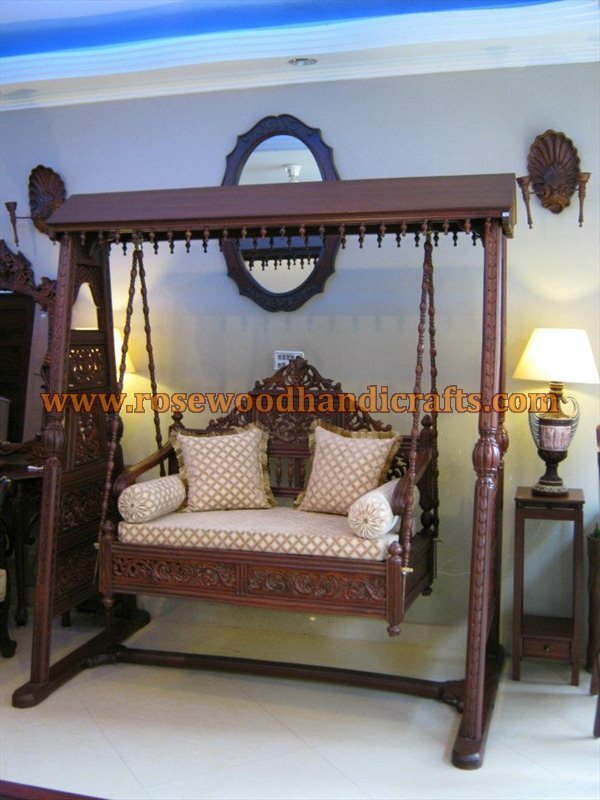 A hand carved rosewood swing is the ultimate style statement and is a mark of grandeur and sophistication. 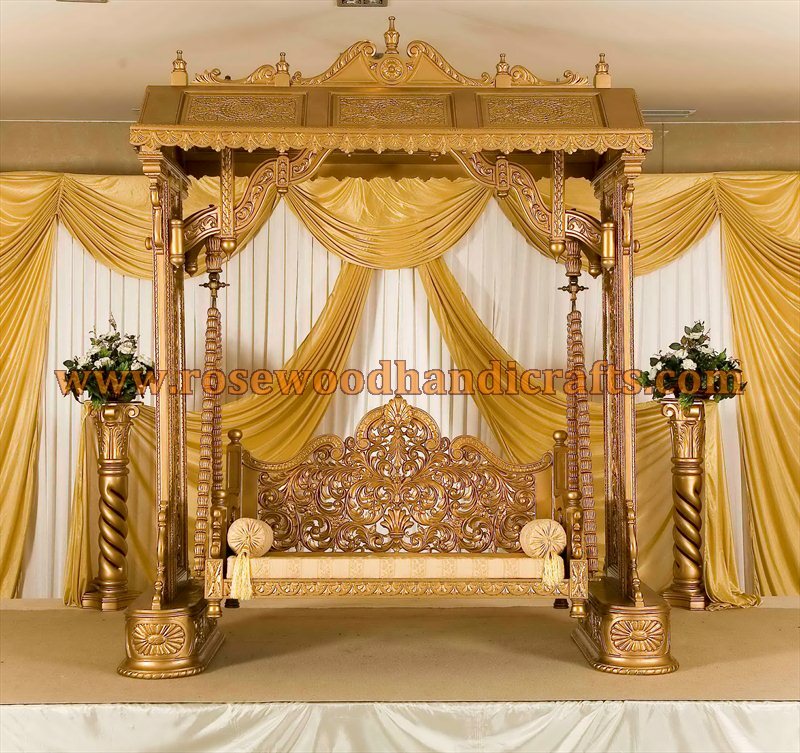 It adds the right touch of opulence and subtle elegance to the ambience. 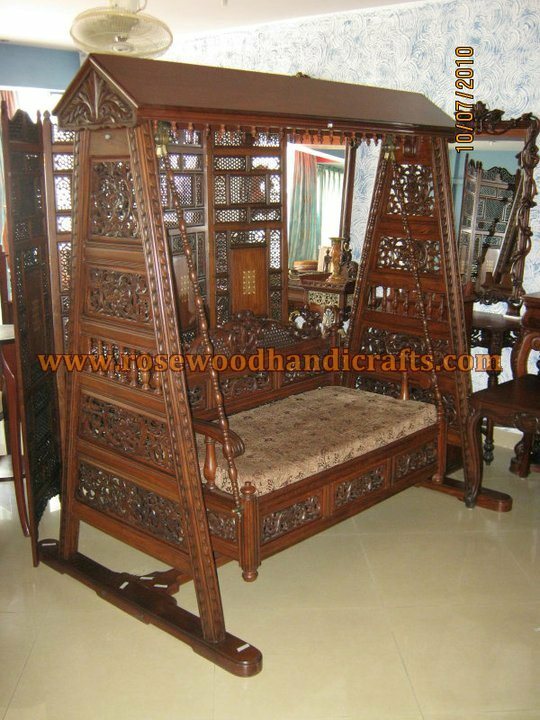 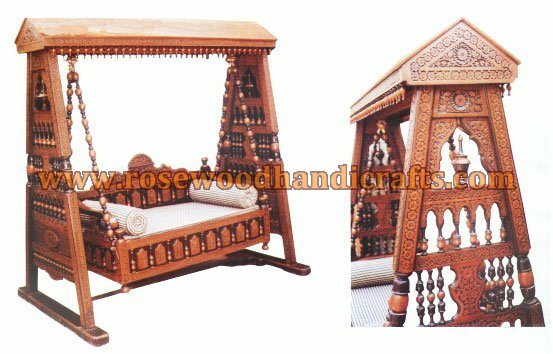 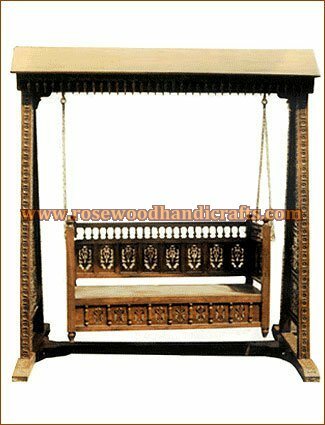 This exquisitely carved Wooden Triditional Swing is made from the finest rosewood and is ornately hand crafted by expert artisans and carpenters. 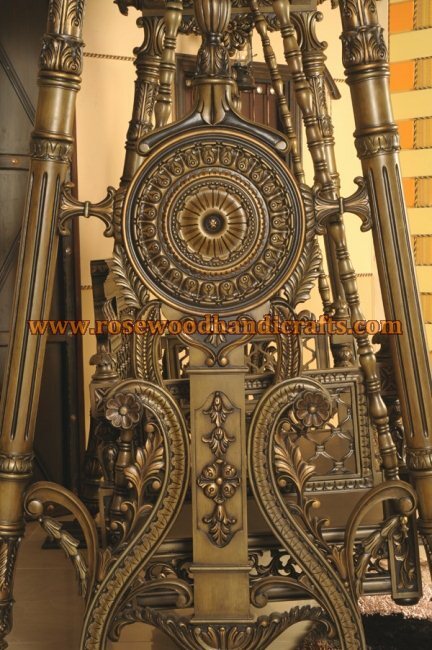 Exclusive designs and intricate motifs adorn the Jhoola and make it an exquisite work of art, worth investing in. 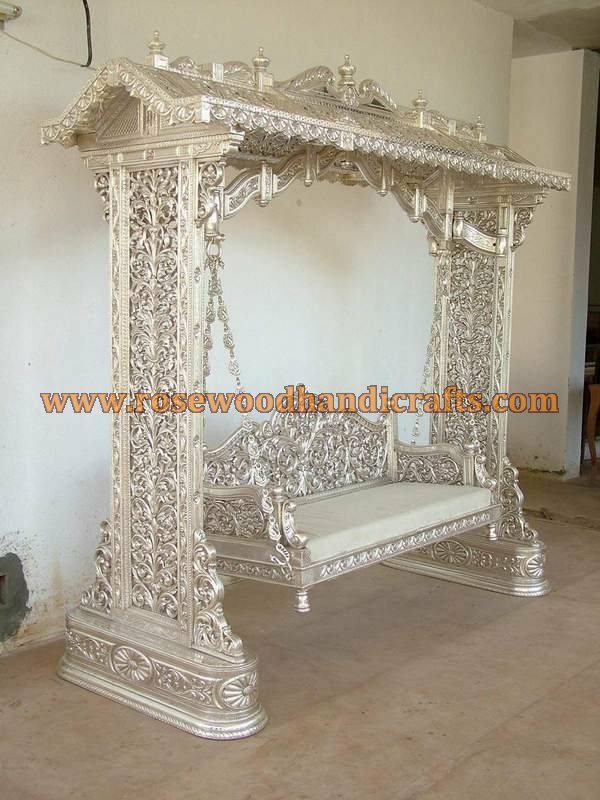 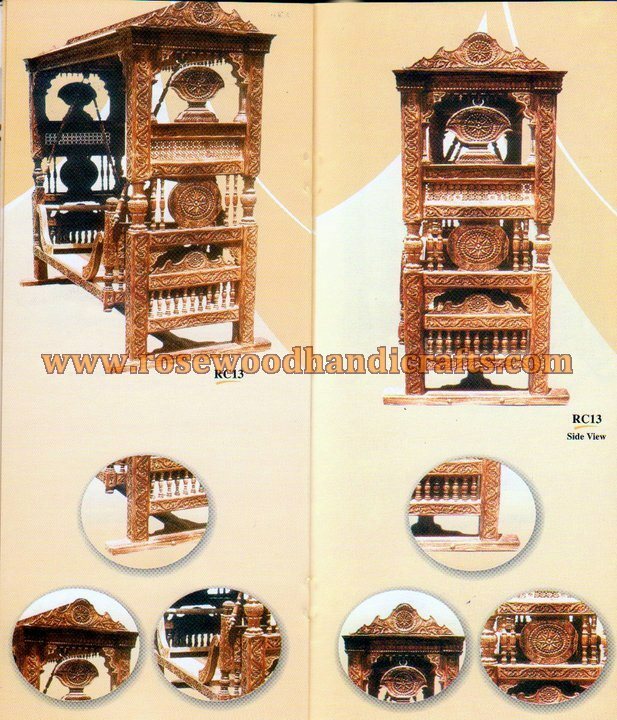 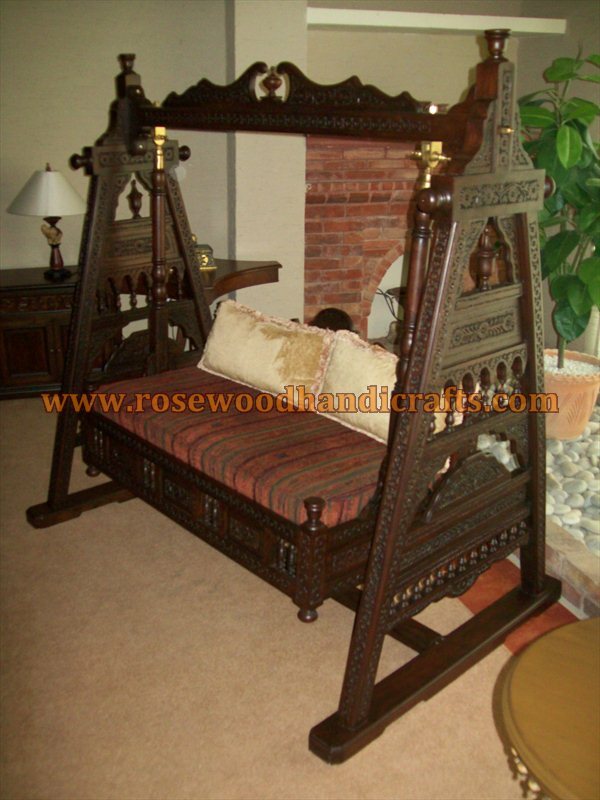 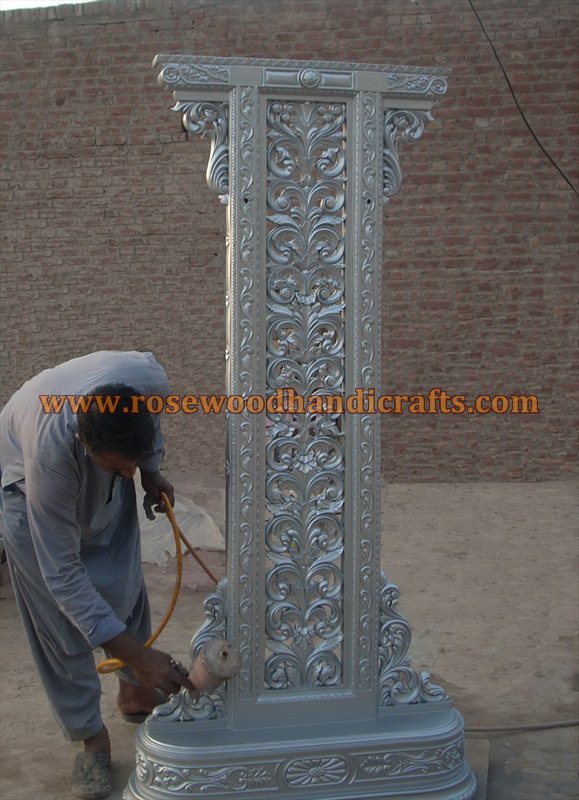 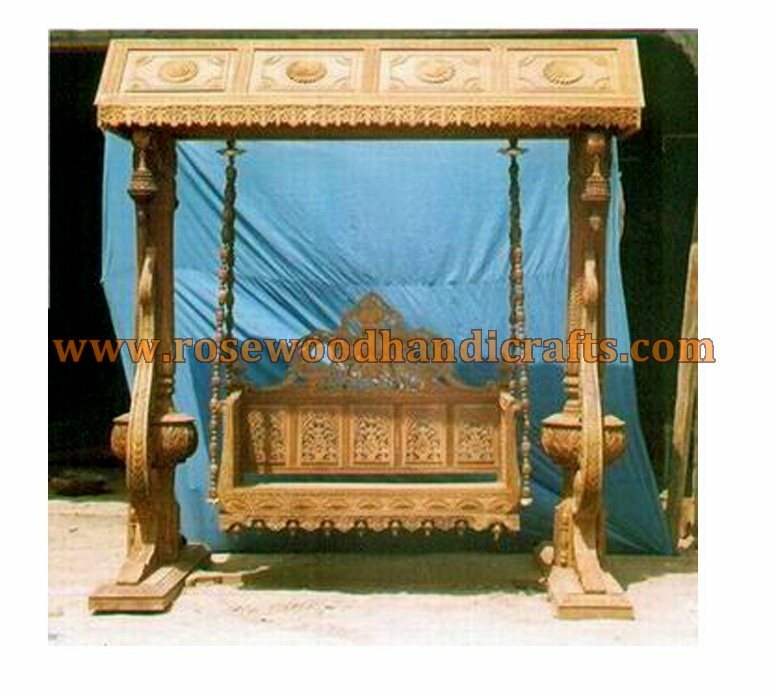 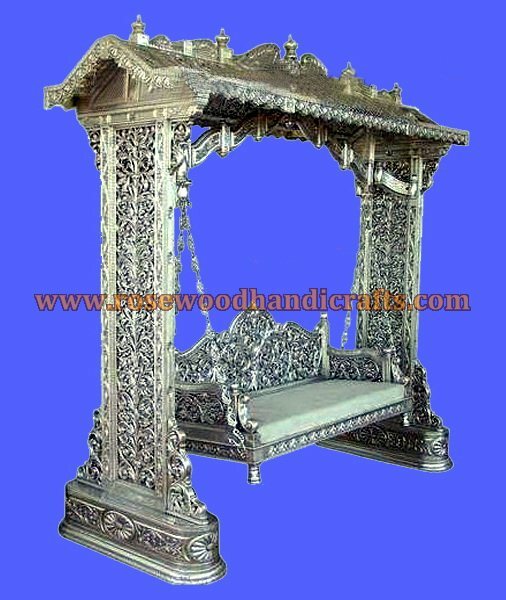 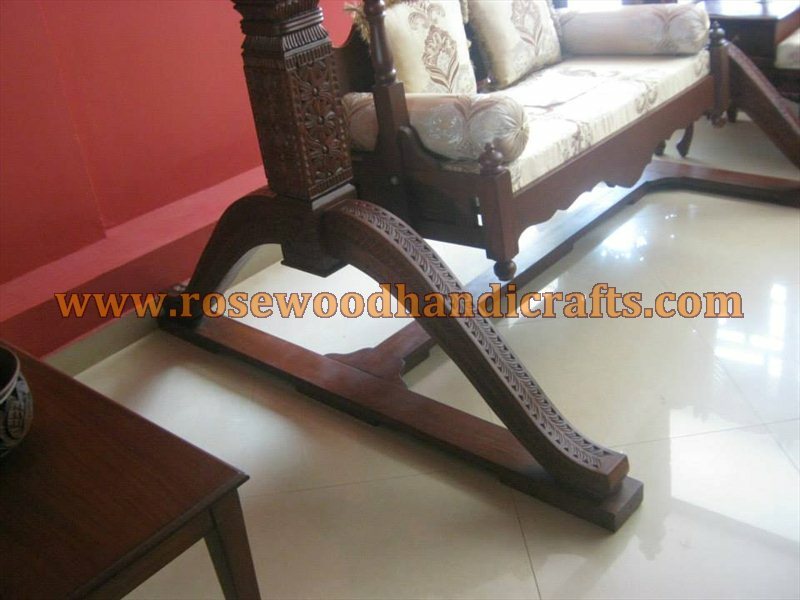 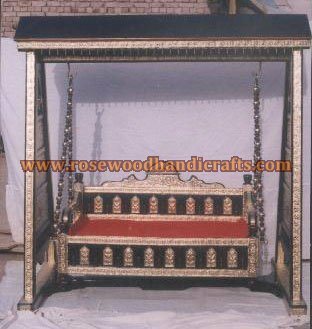 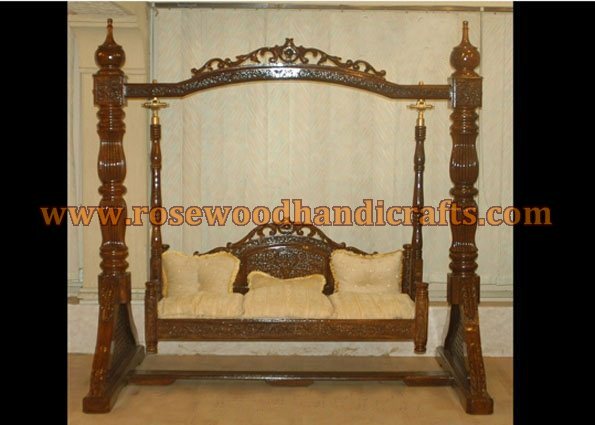 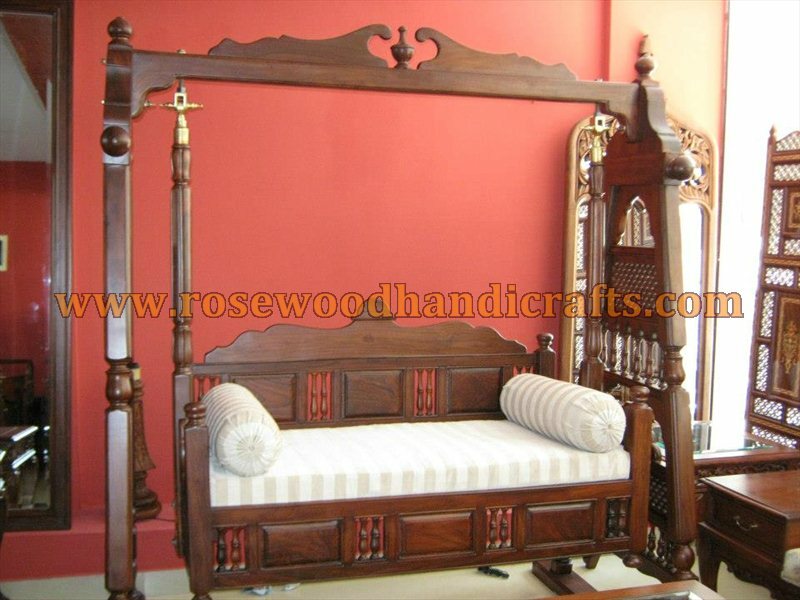 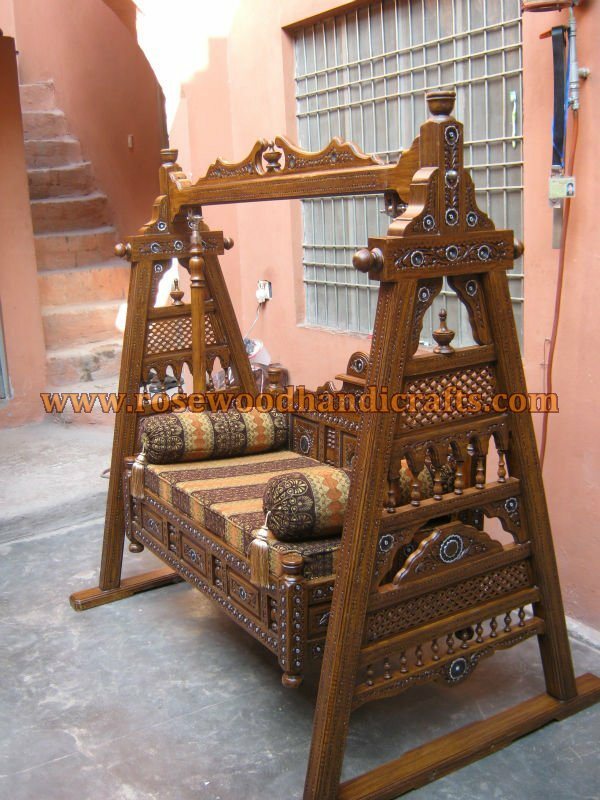 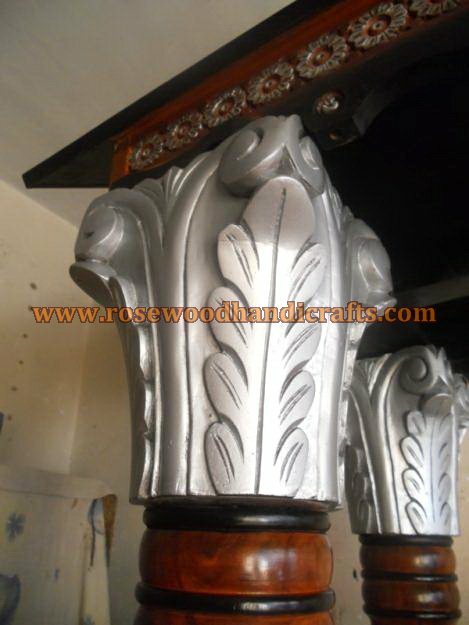 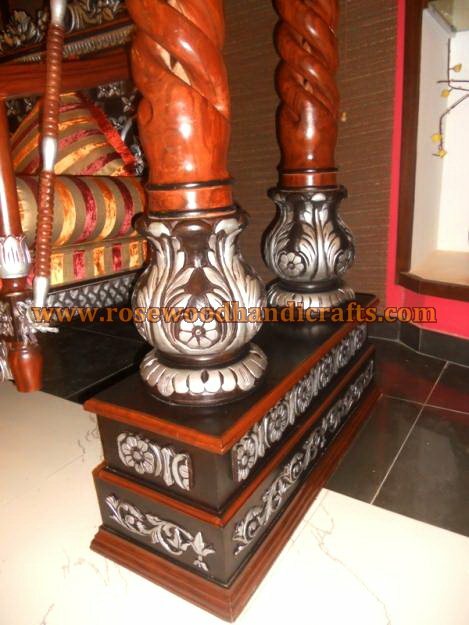 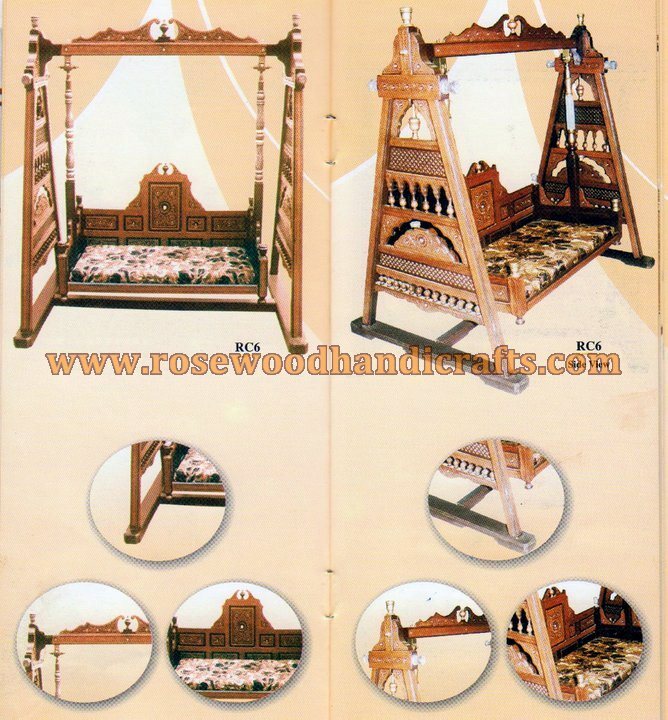 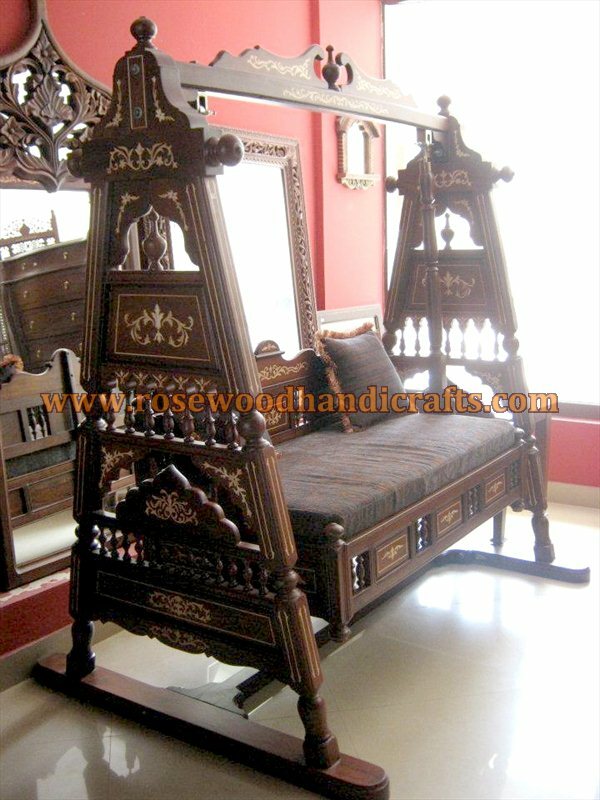 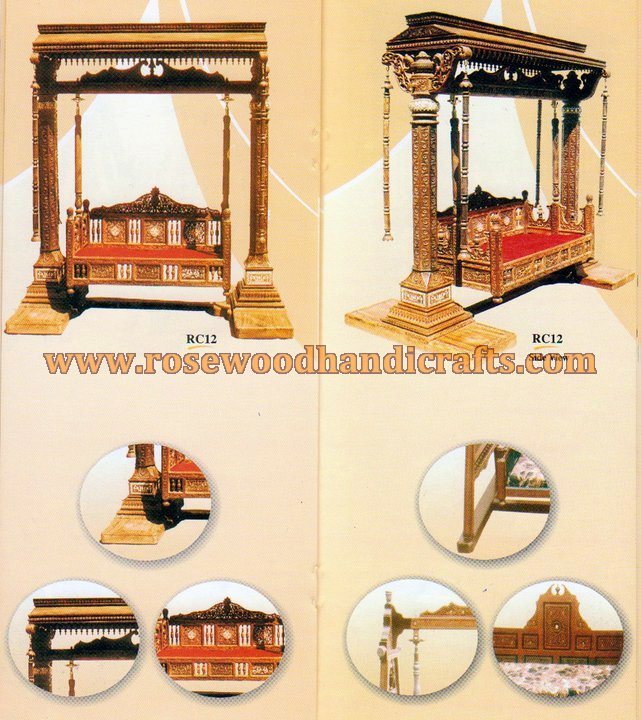 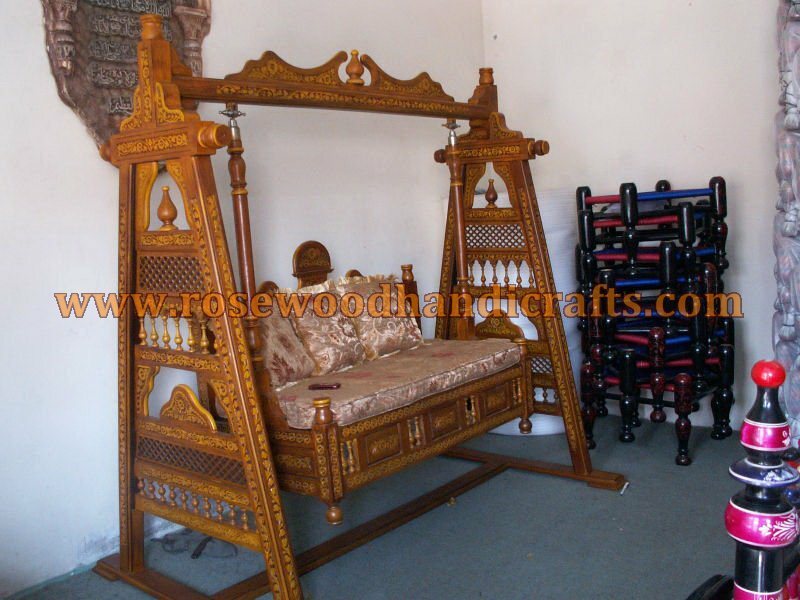 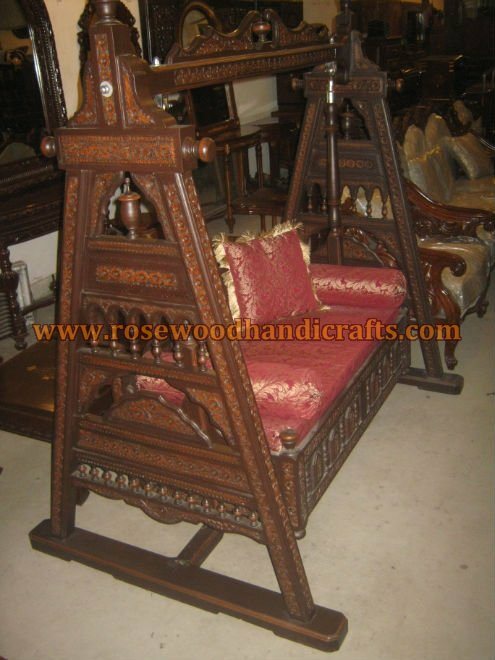 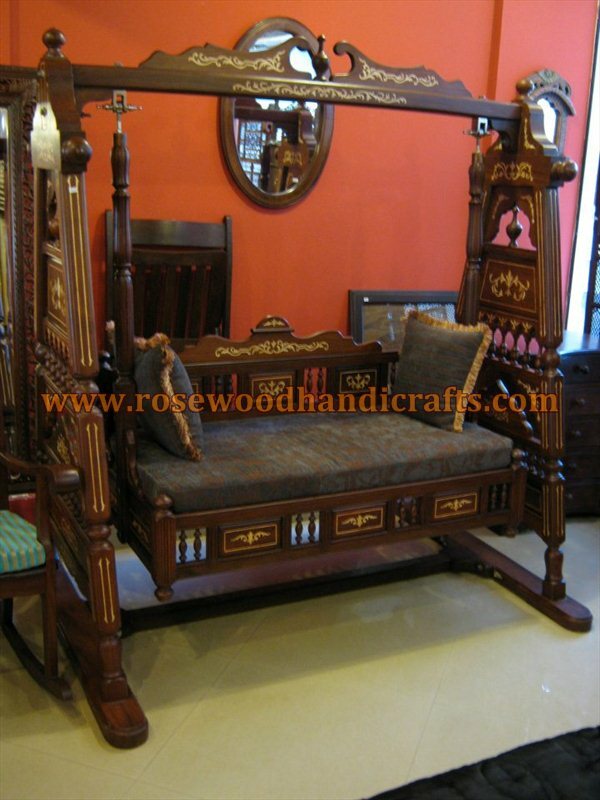 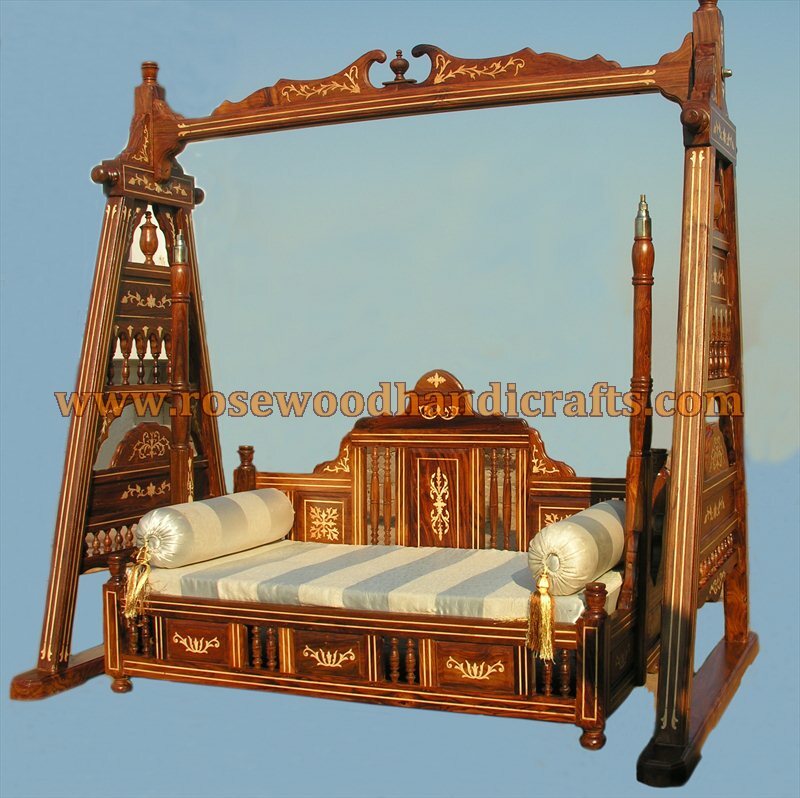 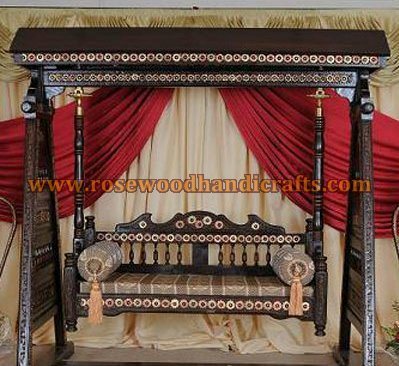 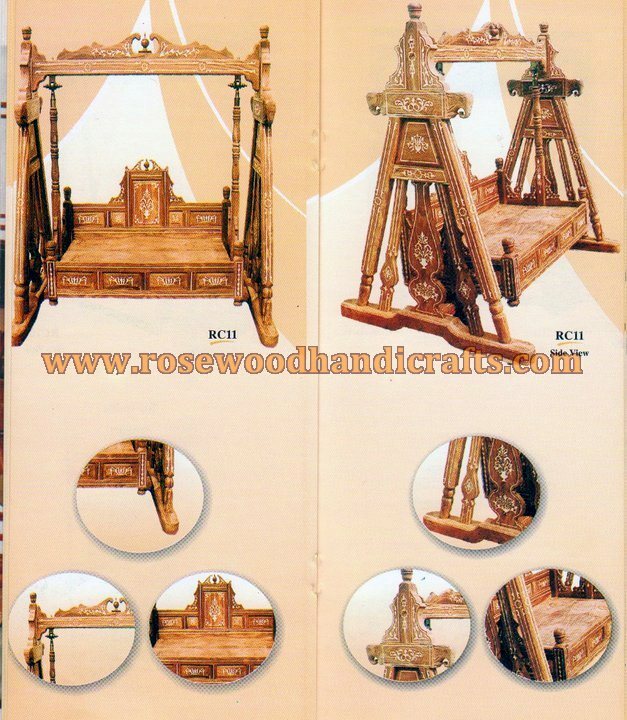 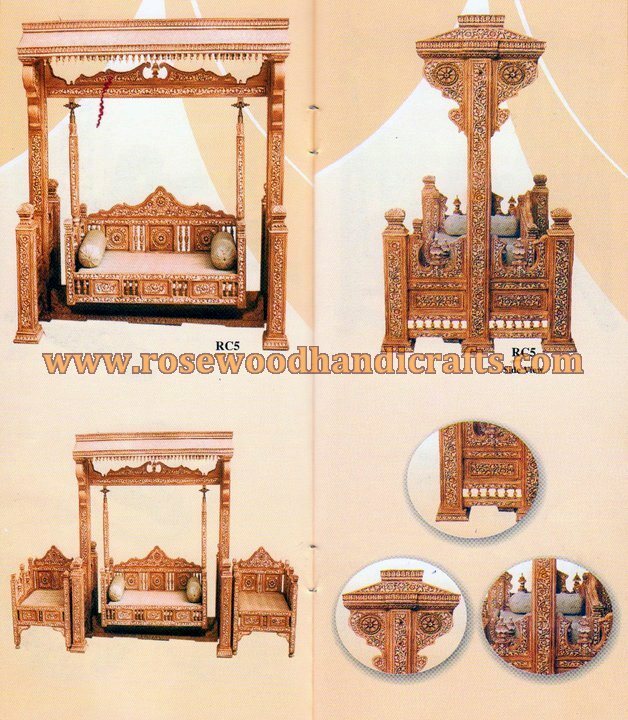 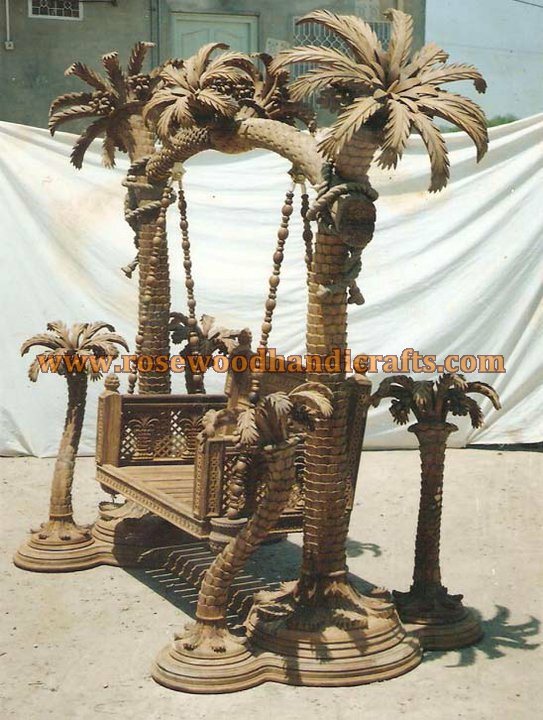 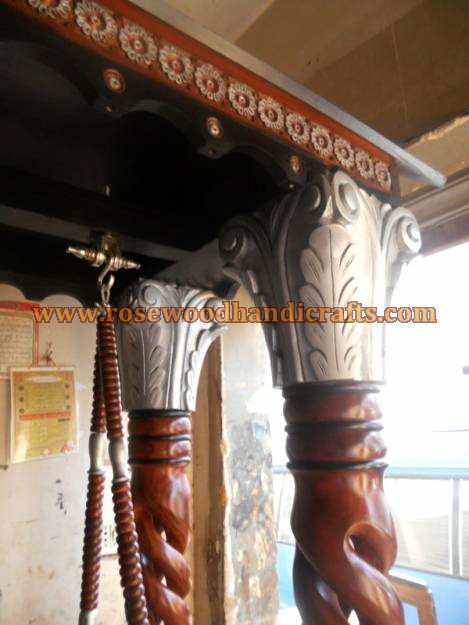 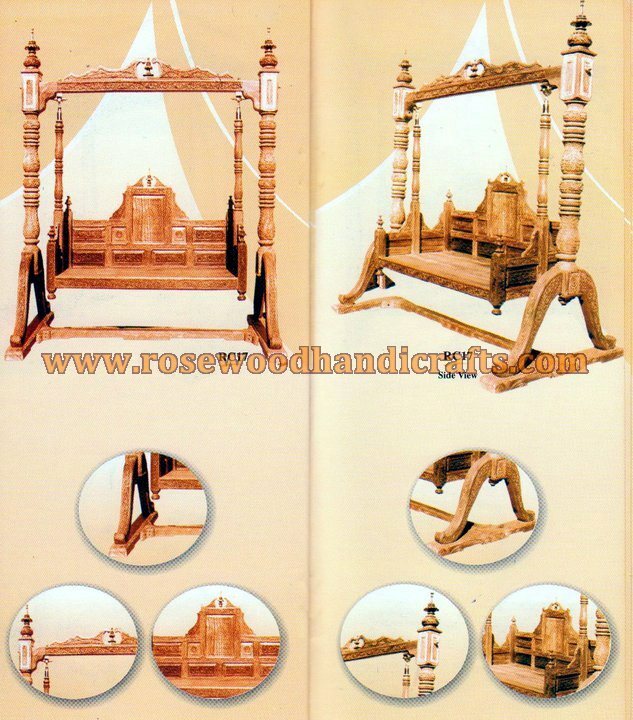 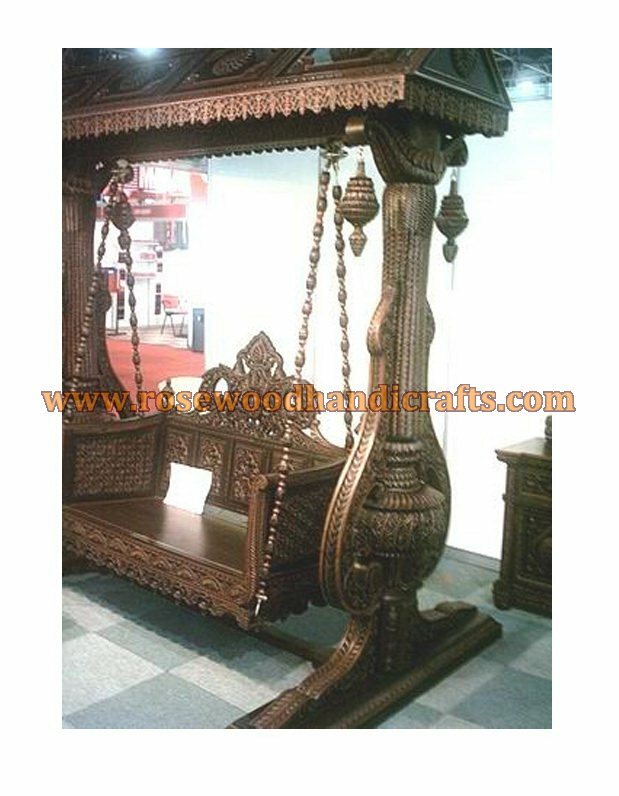 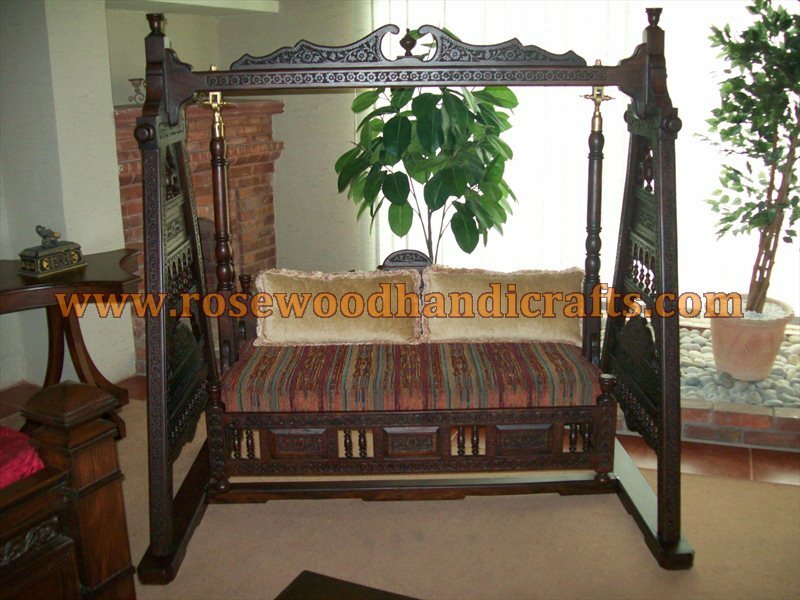 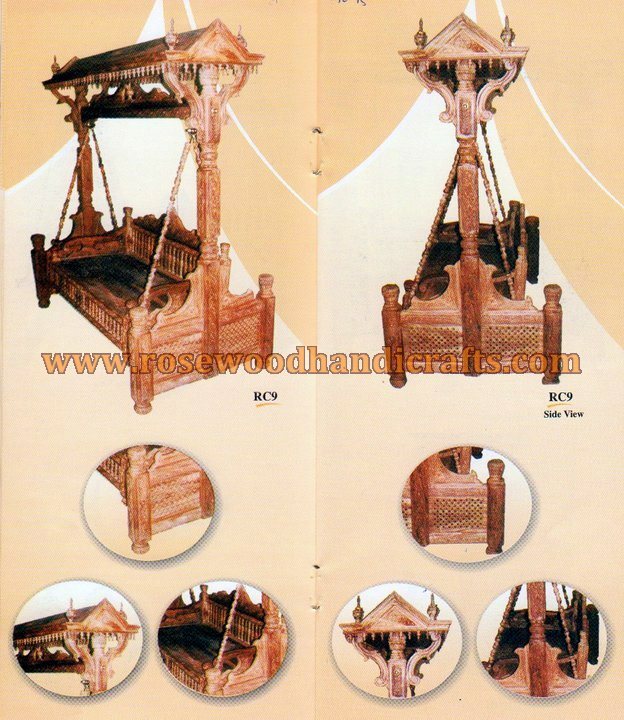 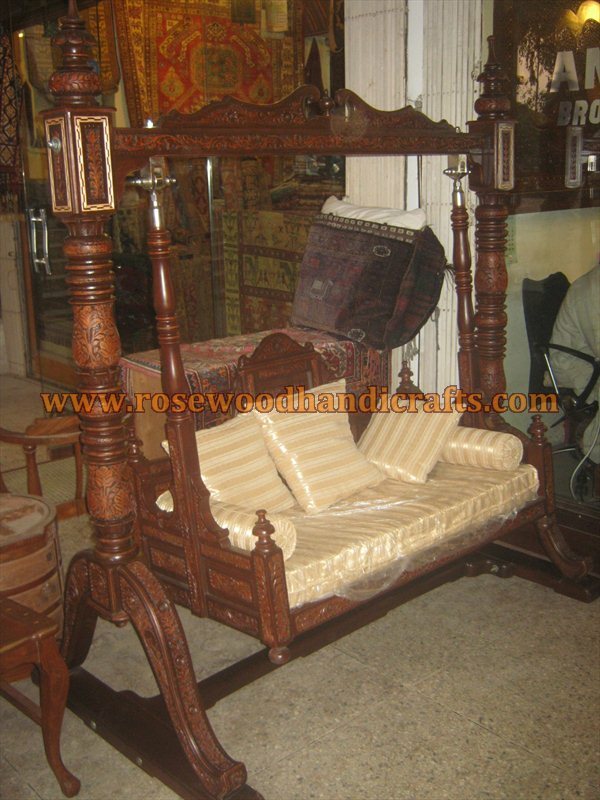 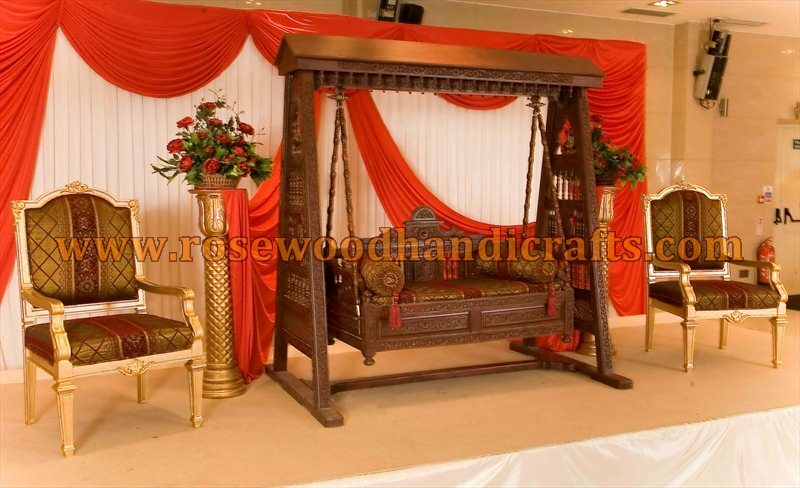 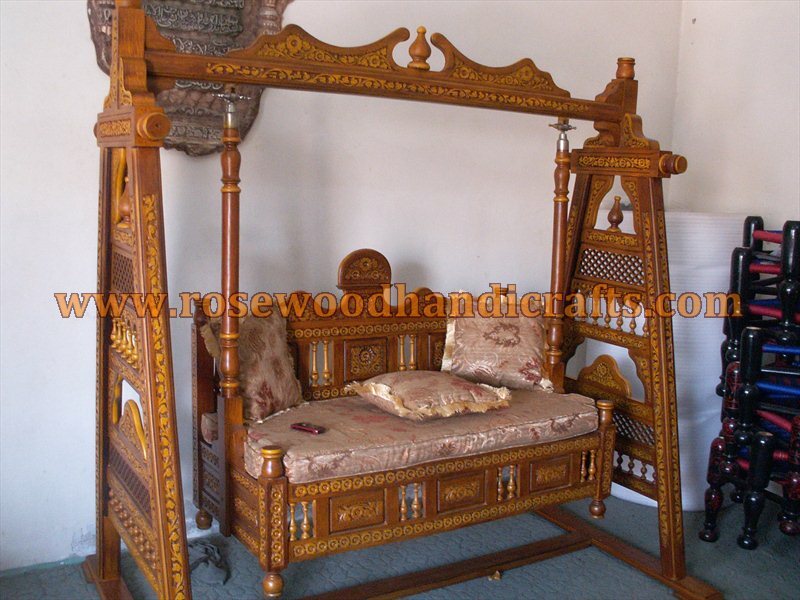 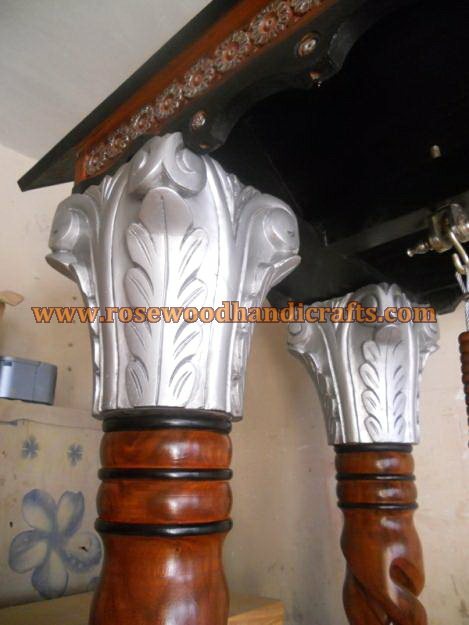 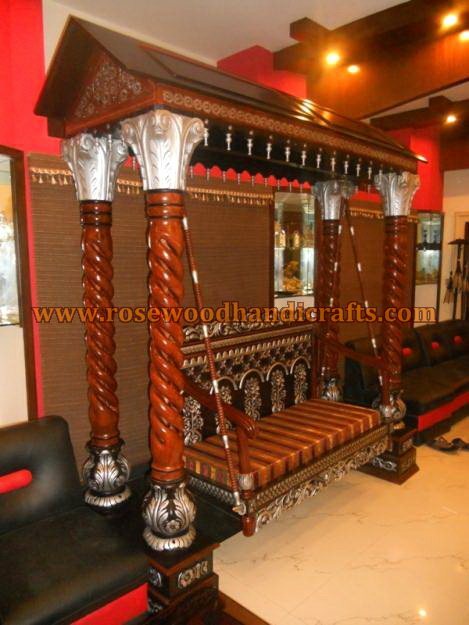 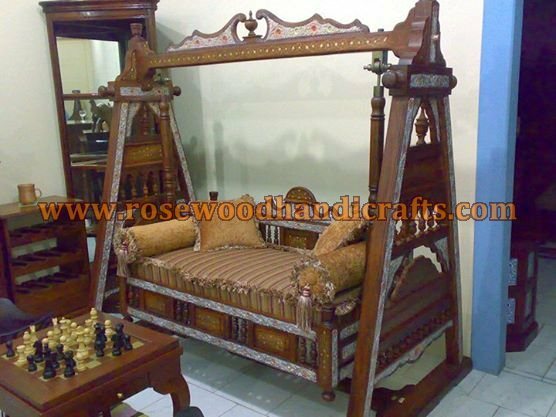 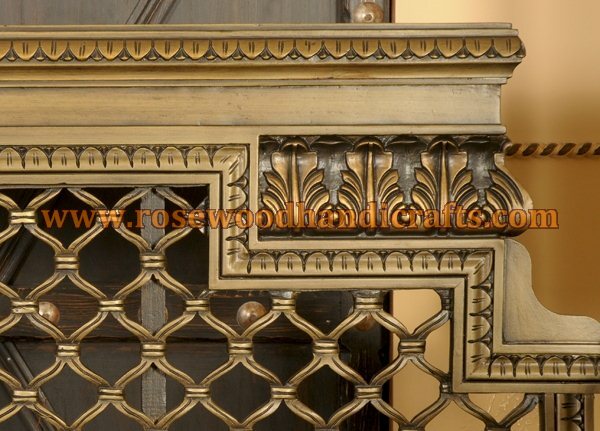 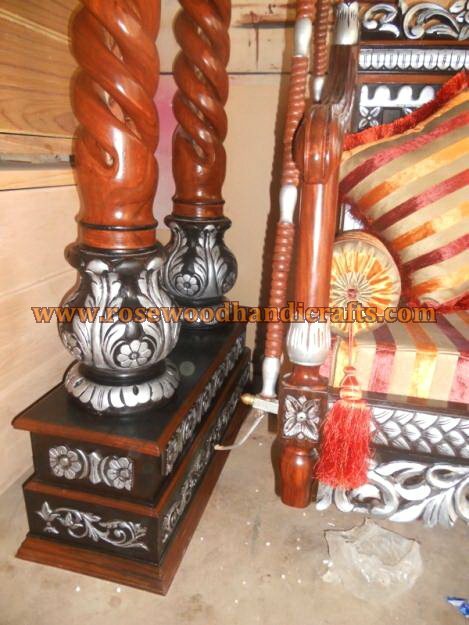 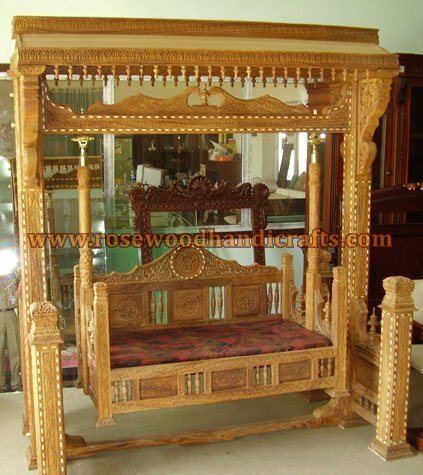 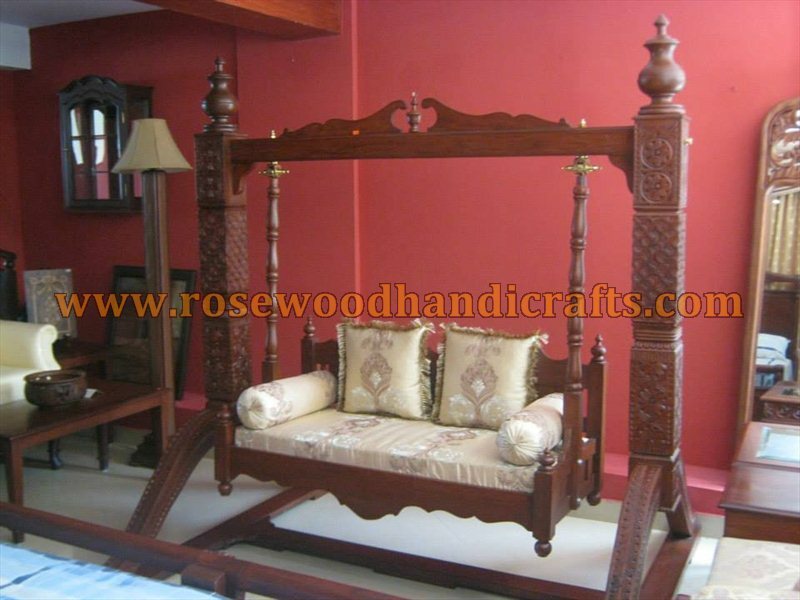 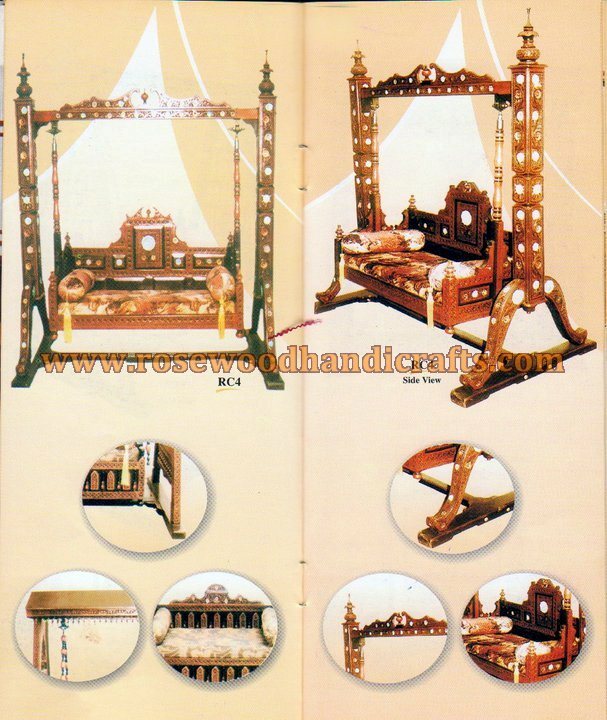 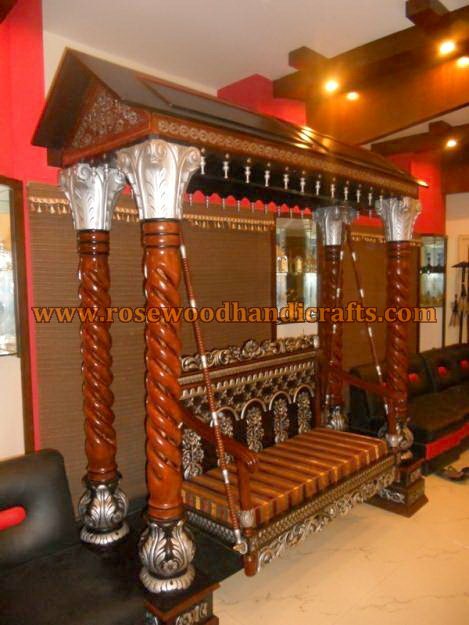 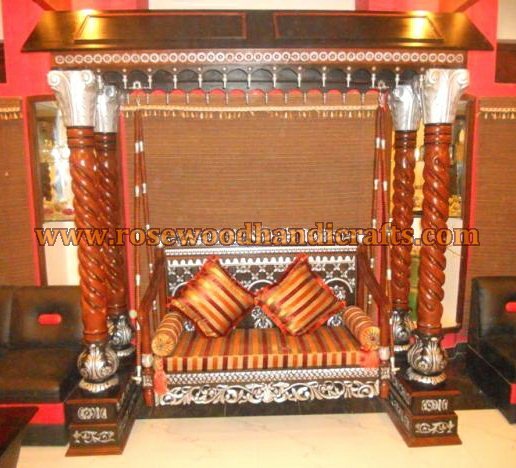 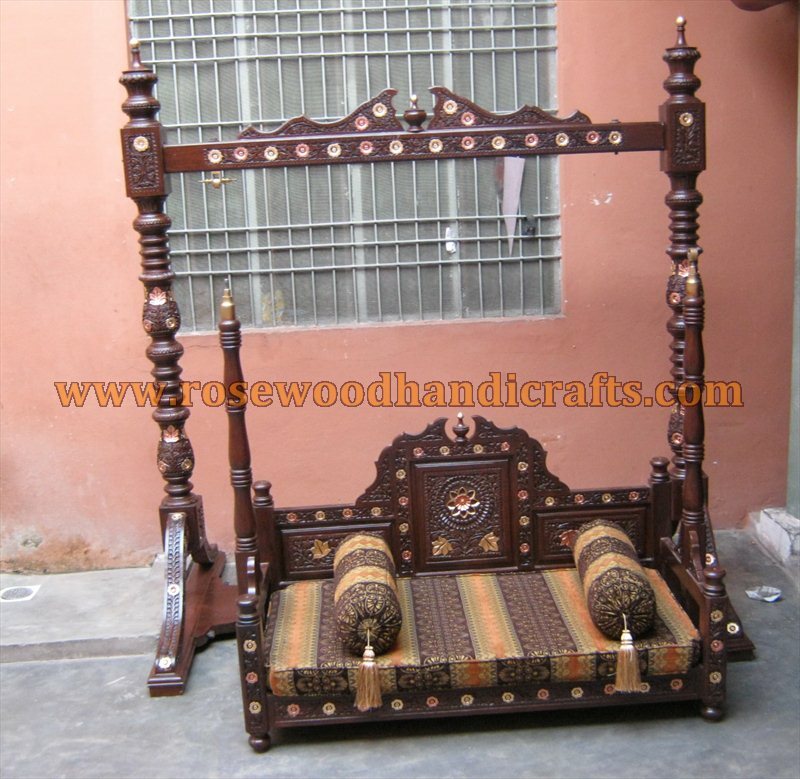 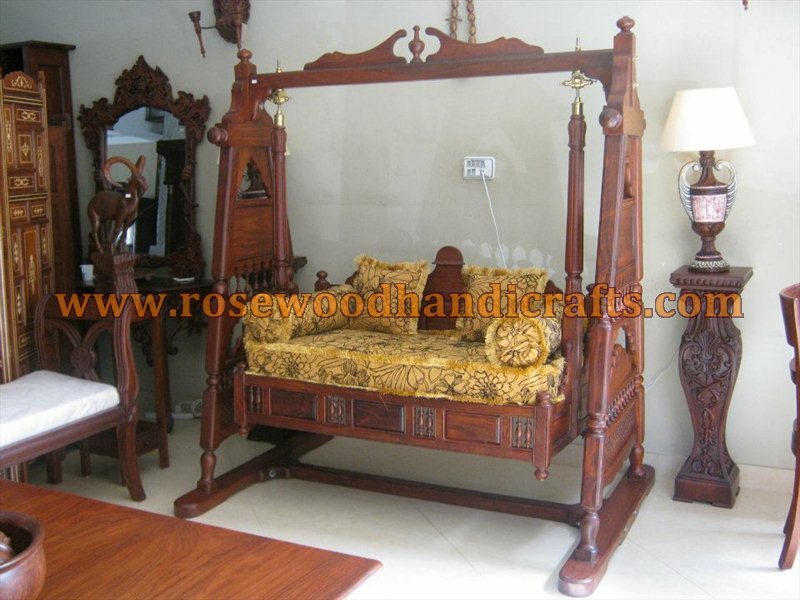 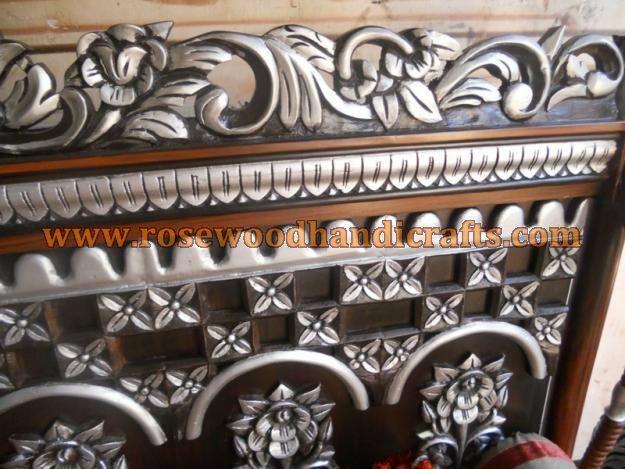 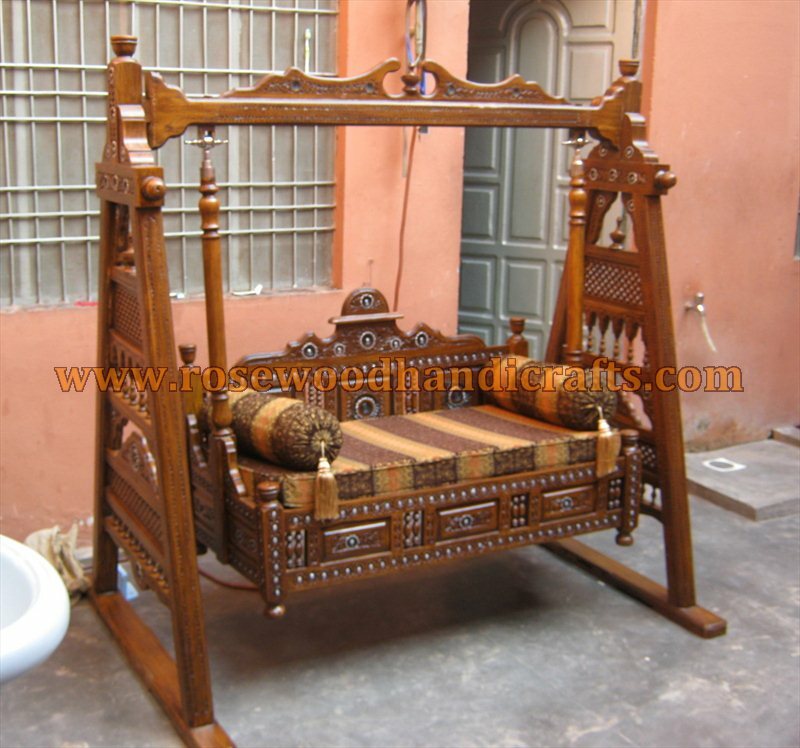 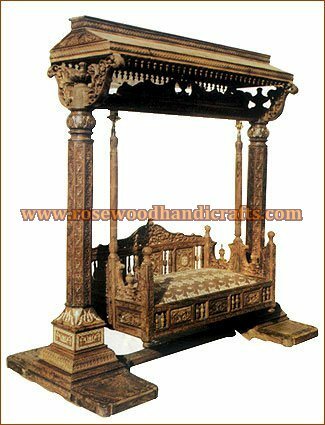 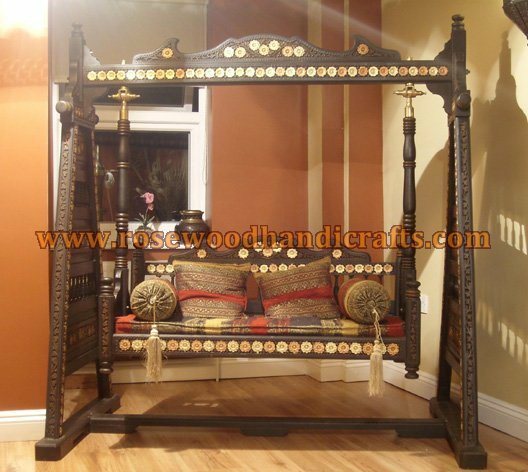 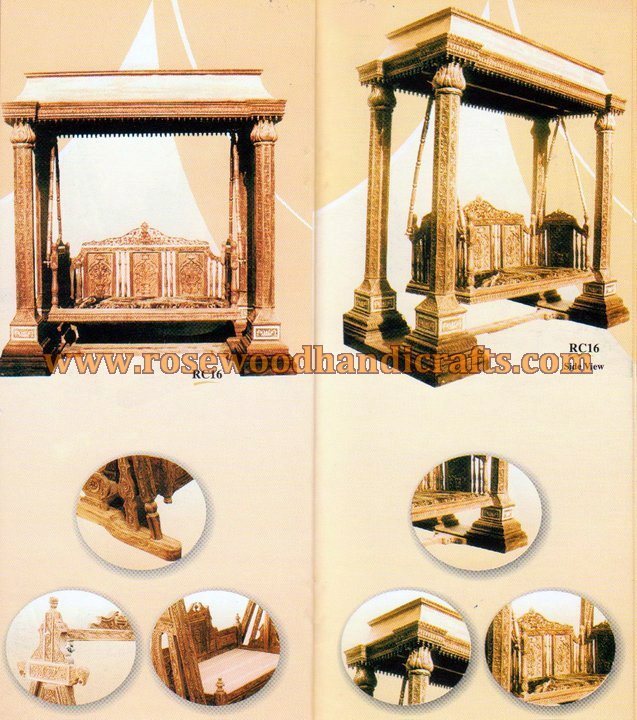 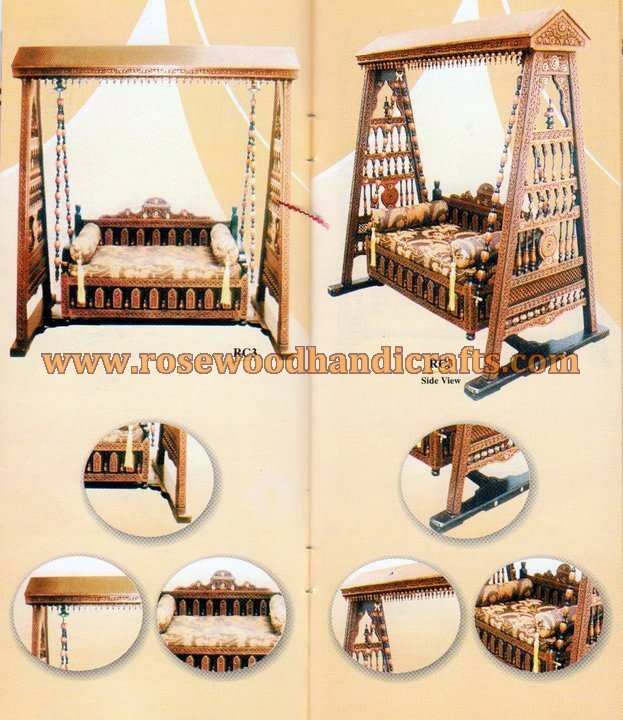 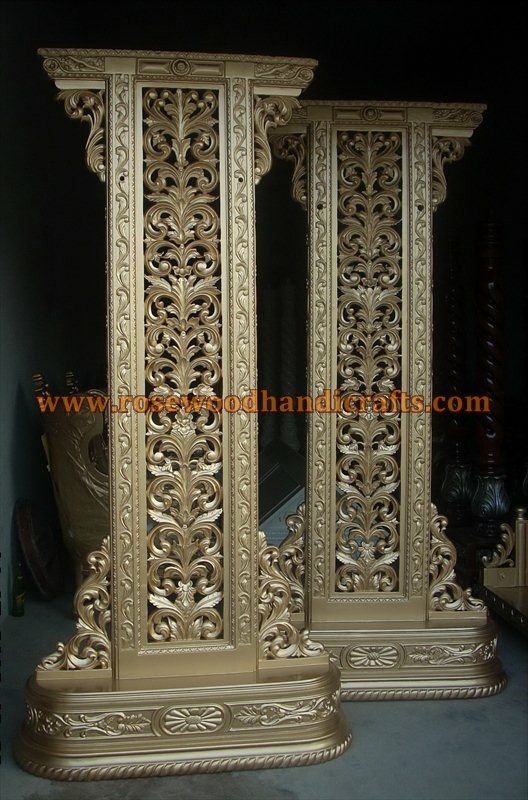 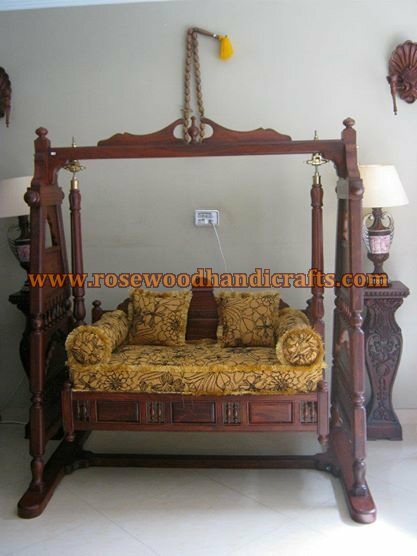 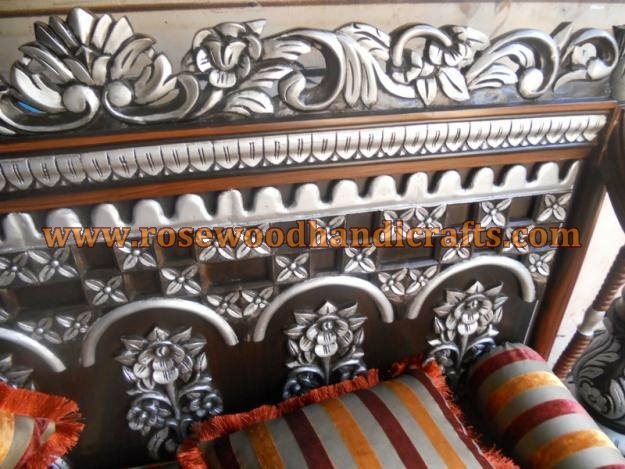 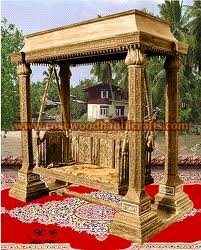 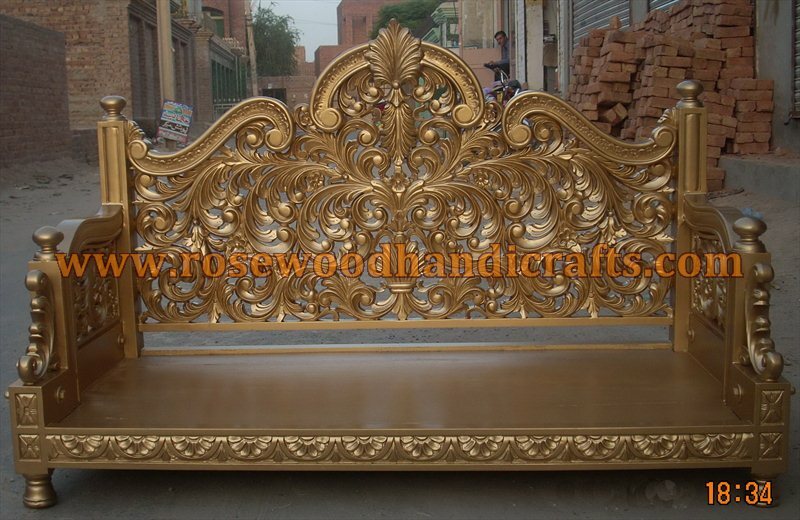 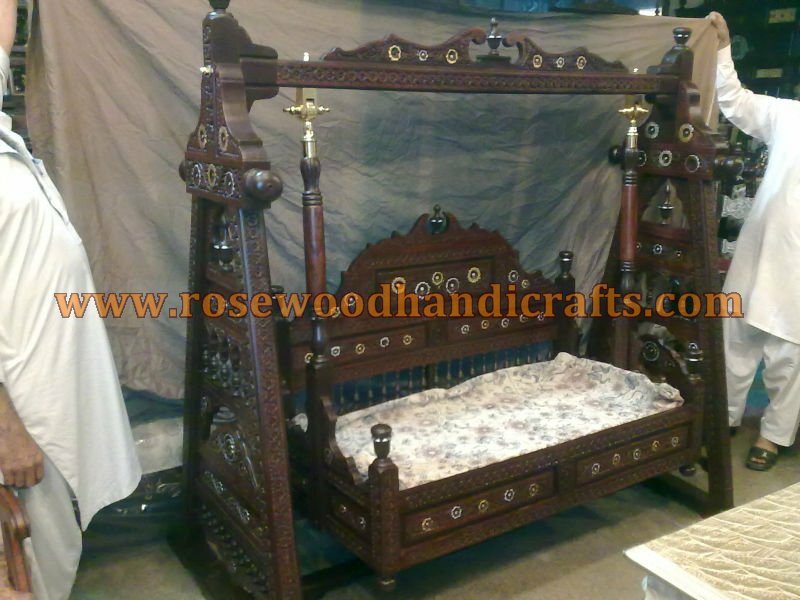 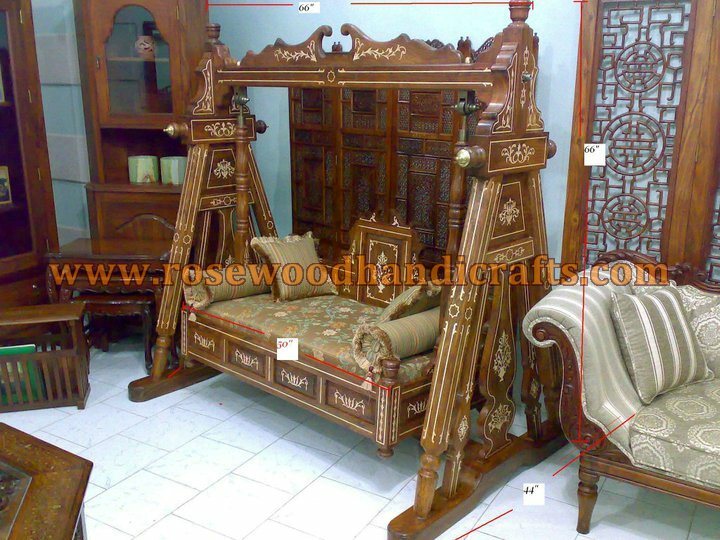 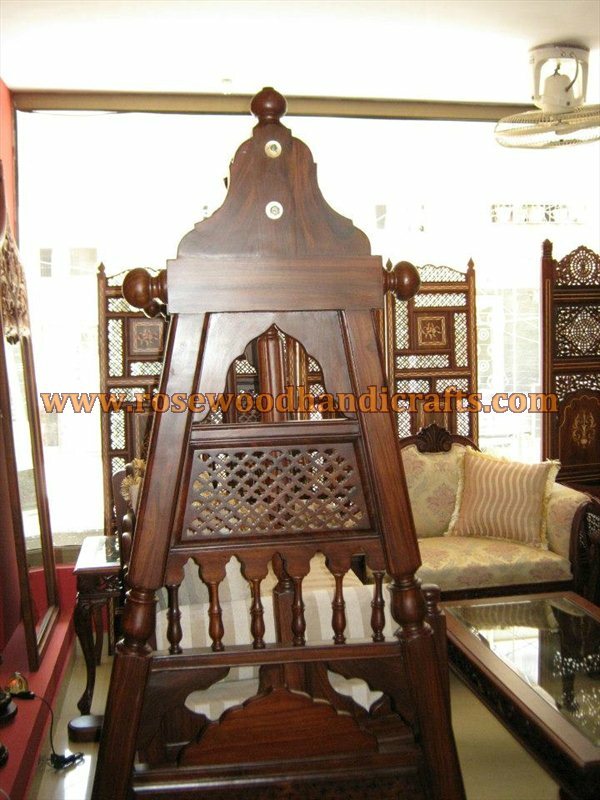 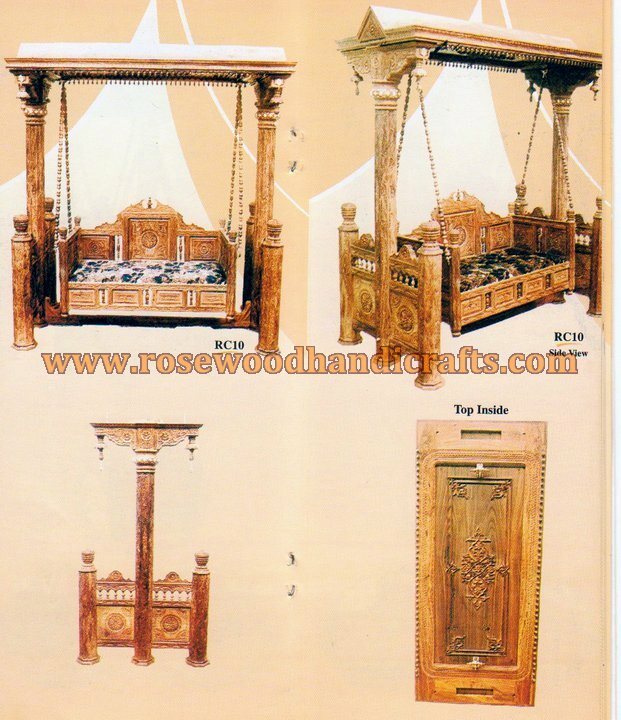 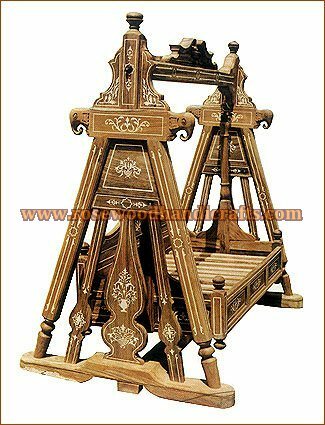 The carved swing has a rich look of grandeur that will enhance the ambience of a palace, a hotel or your dream home. 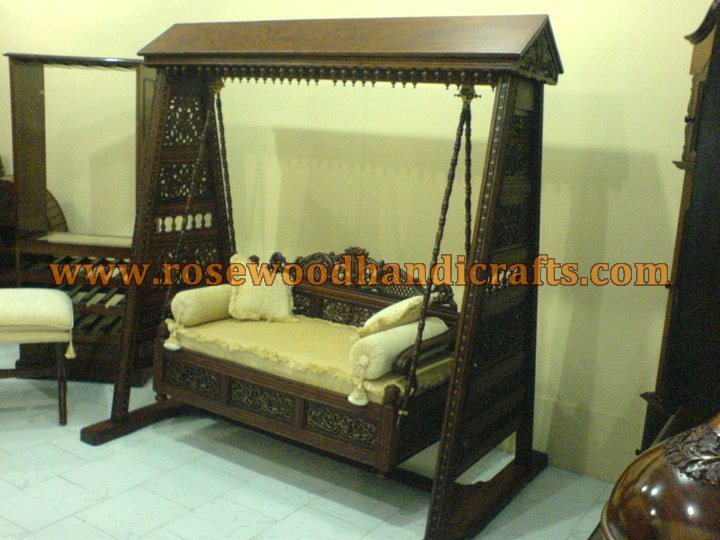 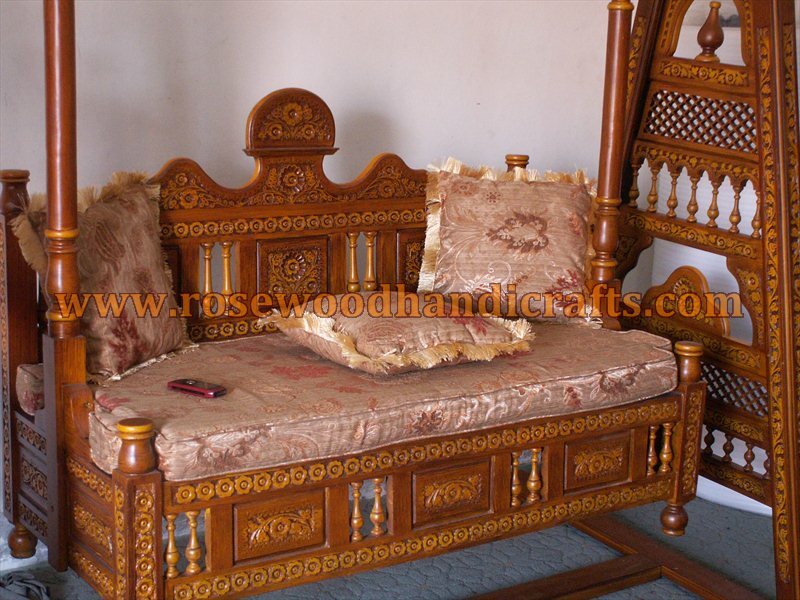 This wonderful rosewood product combines superior quality with comfort and durability. 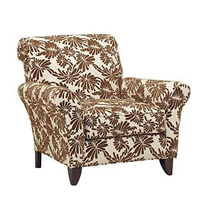 Care: Keep indoors. 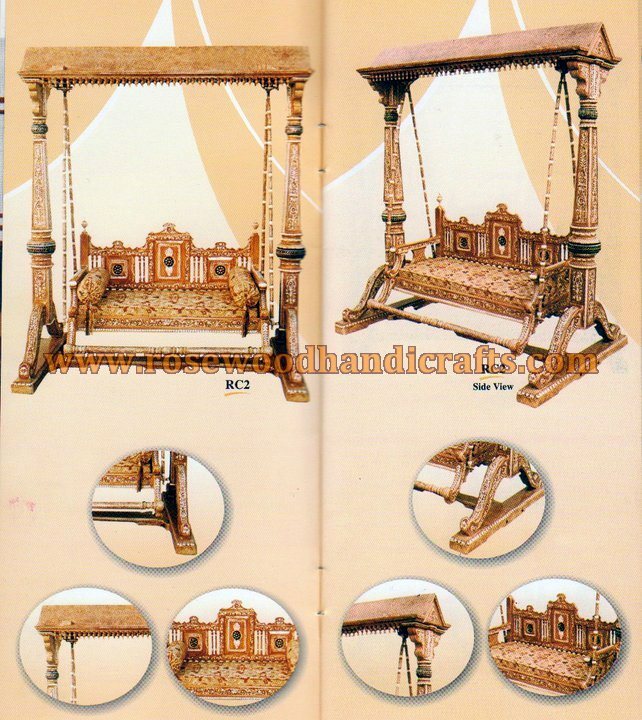 Lightly dust the figurine as required. 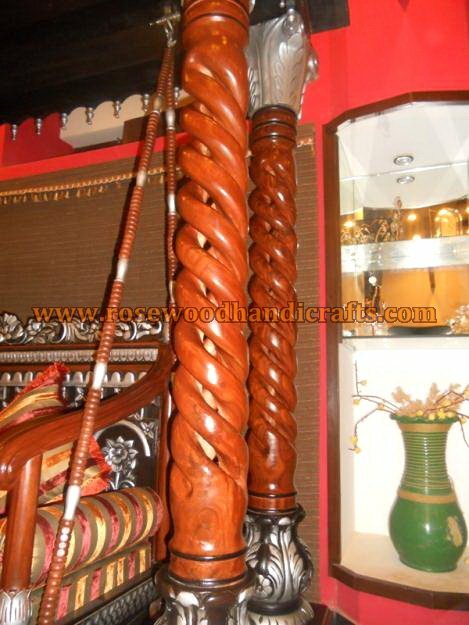 We recommend the use of a mild wood cleaner on a swab of cotton wool.